Phenotypically correct in every way. 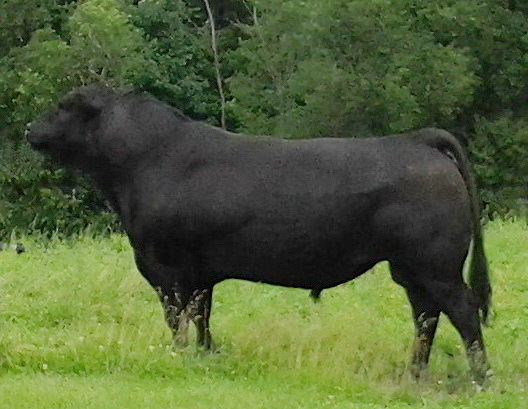 High Selling Bull: St Croix Valley Bull Test, April 2012. 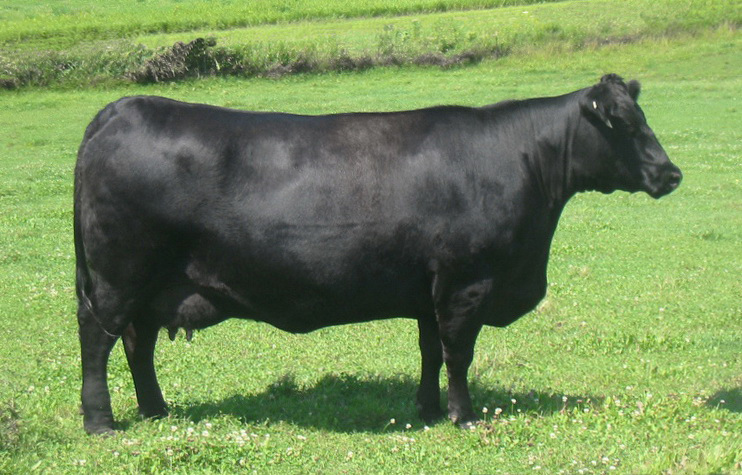 Grand Dam (Pine Hill Mabel) carries a individual 103 Weaning Ratio and a 106 Yearling Ratio. 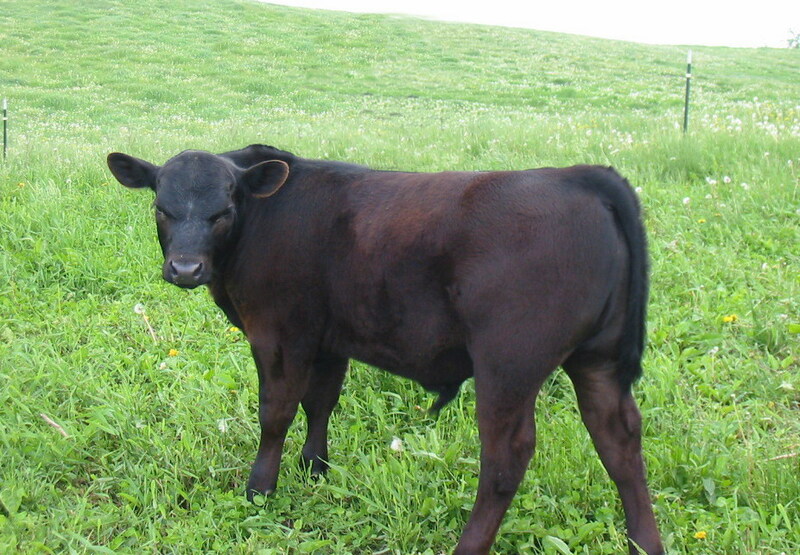 She shows 4 bull calves @ average107 Weaning Ratio and 103 Yearling Ratio. All four of her bull calves have gone to Midland Bull Test competing with 800 Angus bulls in each test. 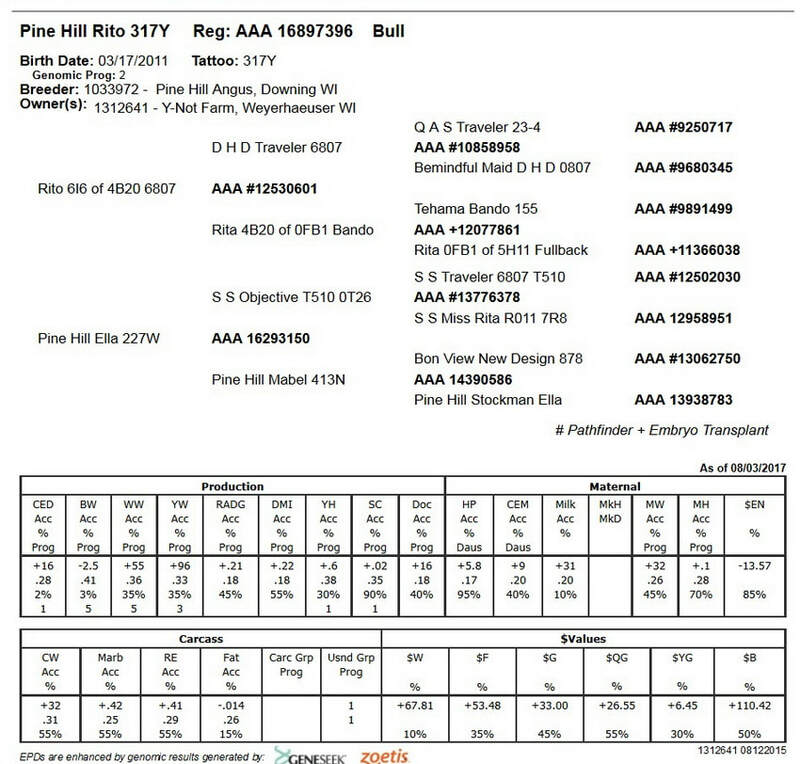 All four bulls (from 4 different Sires) finished the test in the top percentile every year. 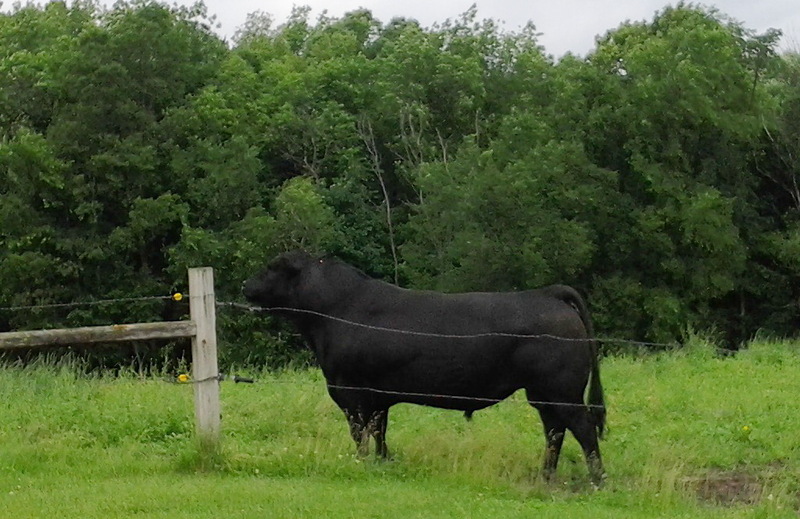 This bull is Pine Hill Ella's first calf. 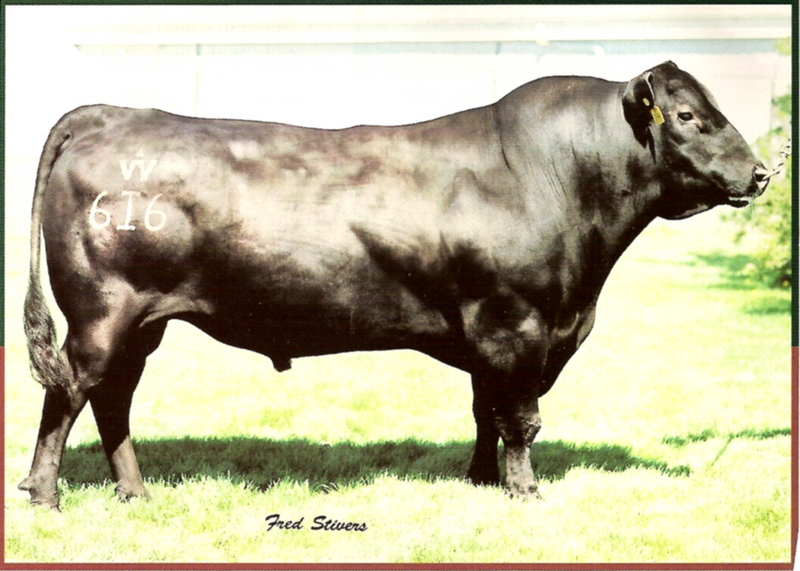 Carrying on the family tradition of superior growth, he shows an 870 pound weaning weight with a 121 ratio and a 1392 yearling weight with a 113 ratio. 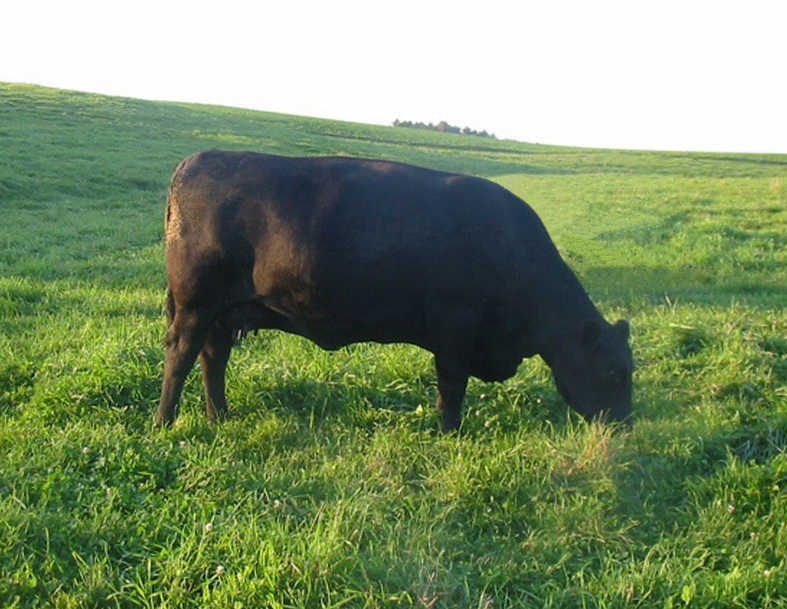 Explosive growth, plus calving ease, with the added bonus of outstanding carcass merit. Generations of solid A.I. breeding on a pedigree that displays 8 Pathfinders. A direct son to the timeless Rito 6I6 (The Disposition Bull) a Sire famous for producing broody, gentle natured females. Actual Birth Weight of 67 pounds. Click Here for latest EPD's. goes to American Angus Assoc. click "search"